How to find us In the school parking lot. 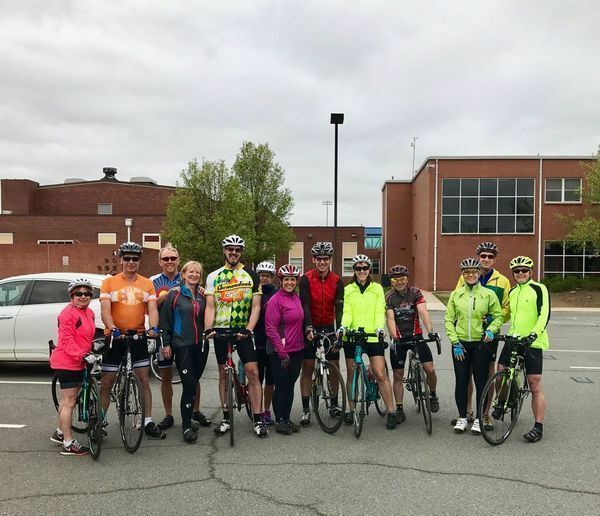 Join us for a country ride out of Leesburg to Purcellville, up to Hillsboro, and on to Lovettsville for a rest stop at 7 Eleven around mile 24. There's an option to ride back via Loyalty rd. to avoid Stumptown and Taylorstown roads. Ride Description: Rolling hills along with Taylorstown and Stumptown Roads. What to Bring: Helmet, cue sheet and method to clip it on the bike, spare tube/air/tire levers, two water bottles, snacks, rain gear (weather dependent), change of clothes and cash for post-ride lunch.